Steven Moran - The Oxford comma is absurdly important. 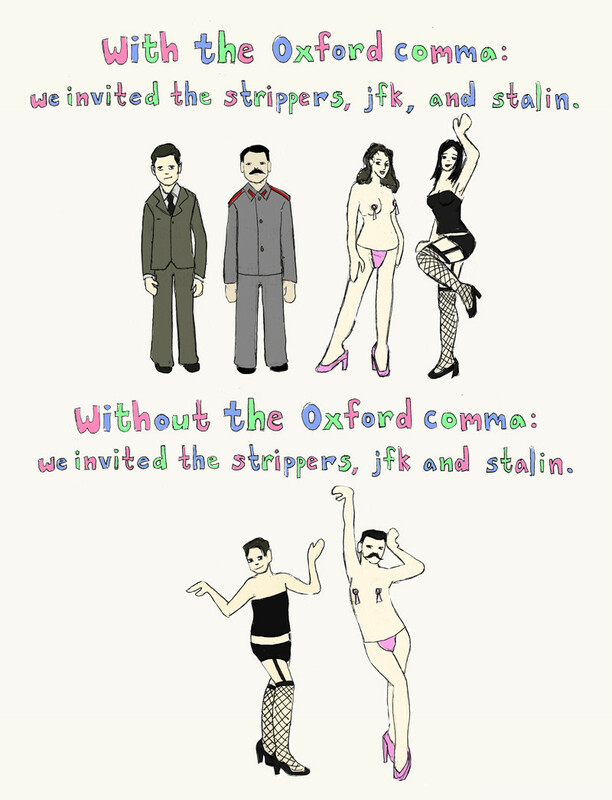 The Oxford comma is absurdly important. I am very pleased to present the first part of the Lost Cuban Photos series. As the series’ title suggests, the following is a collection of photos that I had completely misplaced and then recently found and edited. Thank you for your continued patronage, and stay tuned for some new site features (while maintaining complete minimalism, of course) and some viral / guerrilla marketing opportunities! This is superb, quick and correct information… Many thanks for sharing this. I went to tons of links bofere this, what was I thinking? « Napoleon Bonaparte was 5’6.377953″. Send me an email at me@stevenmoran.com. The information and policies contained herein may be modified, altered and/or updated at any time at the discretion of Steven Moran and should be reviewed periodically. All Web site design, text, graphics, photography, the selection, coordination, and arrangement thereof and in all forms, displayed on StevenMoran.com is protected by copyright ©2006-2011, Steven Moran Photography & Steven Moran, ALL RIGHTS RESERVED. Any use of materials on this Web site - including any reproduction, modification, distribution, transmission, or republication - without the prior written permission of Steven Moran is strictly prohibited.